Conversing with tank gunner Emanuel. 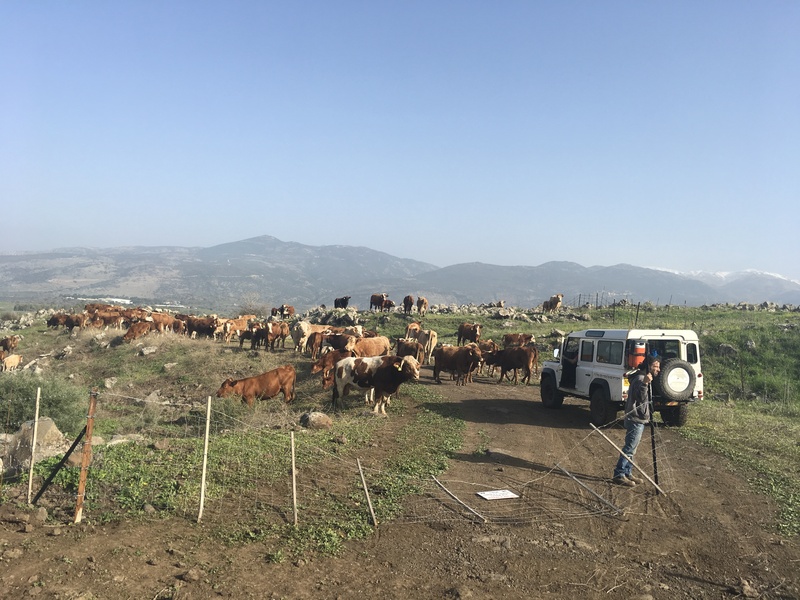 We are facing the direction of the Hula Valley, over which 1/2 million birds migrate bi-annually on their way to and from Africa. As we continued up the road, we came across a huge herd of cattle blocking our path. We lost a lot of time trying to get them to the side so we could pass! 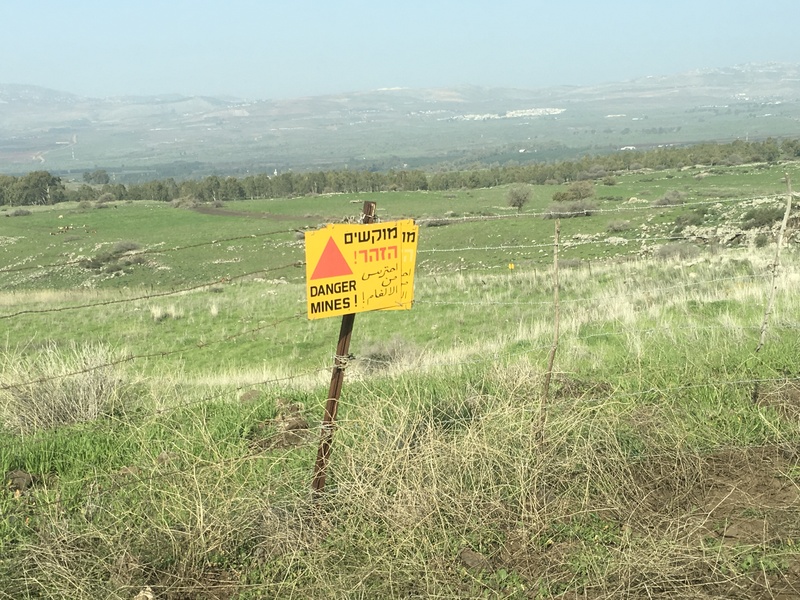 Our destination was a former Syrian outpost at Tel Facher that Israel took in the ‘67 war, thanks to Israeli spy Eli Cohen, an Egyptian Jew who went undercover in Syria. 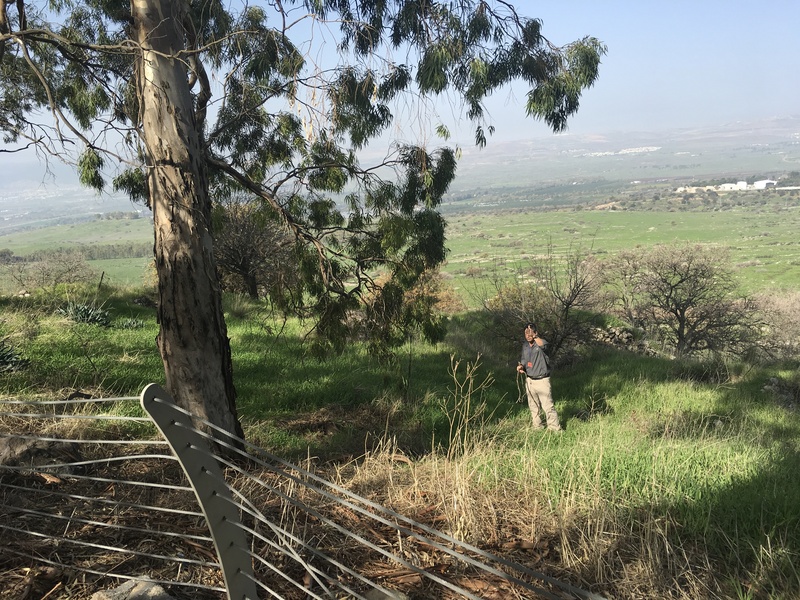 It is because he suggested to the Syrians that they plant eucalyptus trees at this lookout to protect themselves from the heat that the outpost was evident to the approaching Israeli soldiers. The Israeli phrase to “throw yourself on the fence for someone” derives from the battle at this site. The device to blow the barbed wire malfunctioned, so a soldier threw himself on the barbed wire fence so that his comrades could walk on his back to get over it. Uri, our master tour guide, was full of these moving stories of courage and devotion to land and people during the ‘67 war. In the bus, he continued with some of the history of the War of Attrition and the ‘73 Yom Kippur War. From Tel Facher, we travelled to Mt. 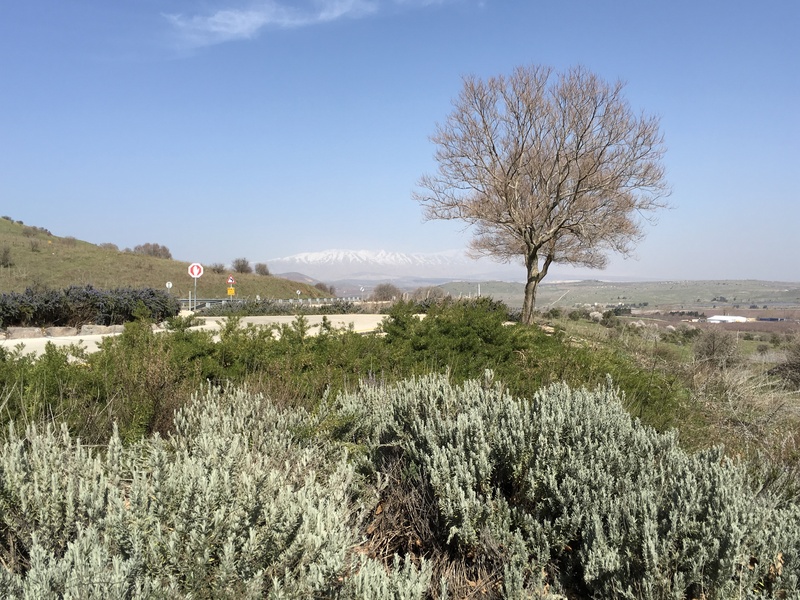 Bental overlooking the Syrian border to meet with Lieutenant Colonel Sarit Zehavi, former intelligence officer where we got a thorough briefing on the current geo-political situation and its many complications, including strange bed-fellows. 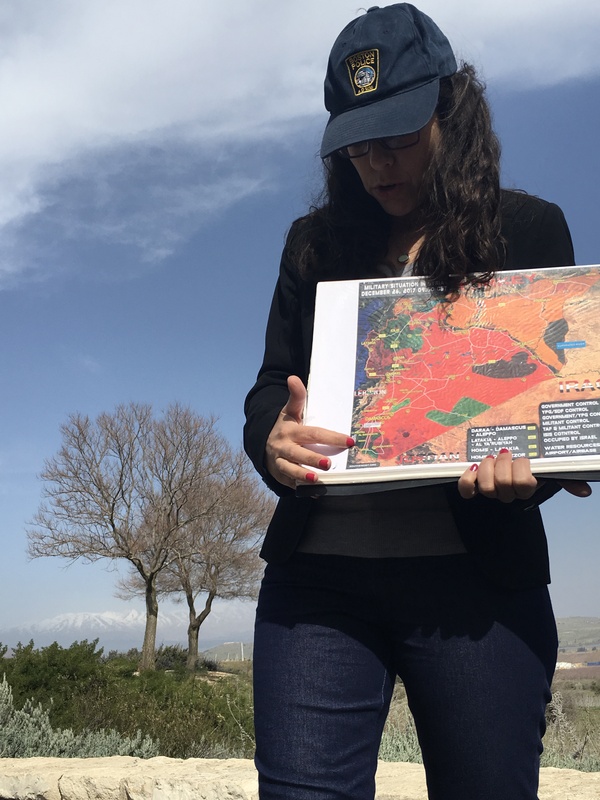 She is in the process of completing an experiential museum center near the Lebanon border which will provide an opportunity for visitors to experience how security is done through situation-room kinds of war games and technology. Our next stop was the exquisitely beautiful Kinneret Cemetery, right next to the Kinneret itself (Sea of Galilee). 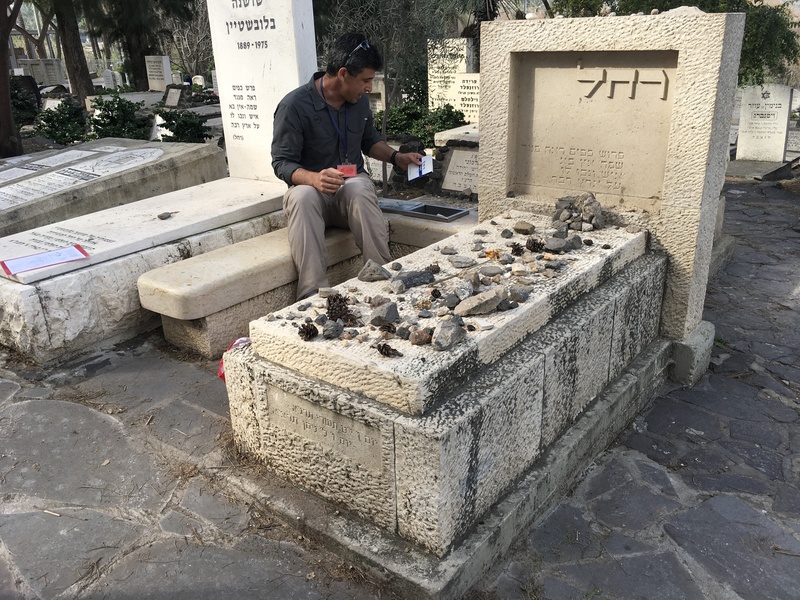 Here many of the early Zionist pioneers are buried, including Berel Katznelson, one of the intellectual founders of Labor Zionism. 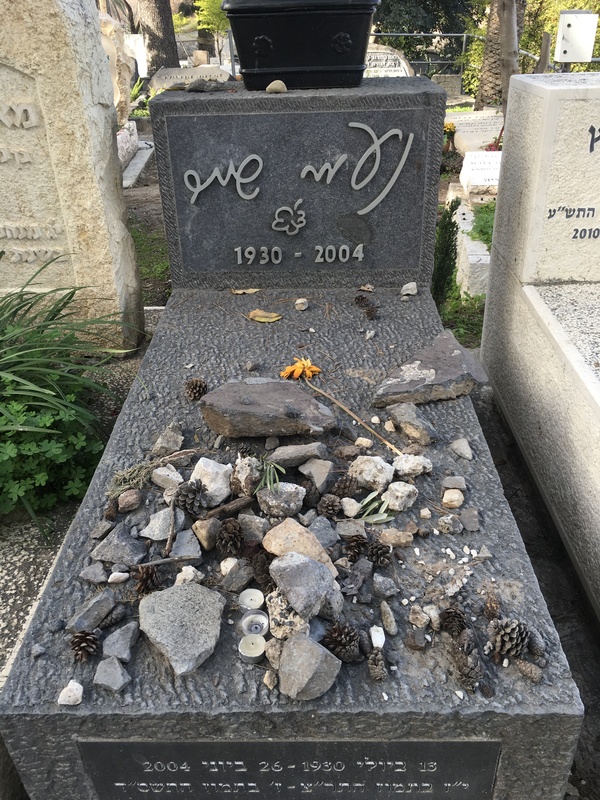 We spent a good amount of time at the grave of beloved Israeli poet Rachel, reading some of her poetry and even wrote some of our own (I still have to edit mine before posting). There is a closed box next to her grave where one can take out copies of her poems to read. Poet Rachel’s grave at Kinneret Cemetery. Uri is showing us the hidden box of poetry that resides next to her grave. Singer-songwriter Naomi Shemer is buried there, too. Notice the font — I want Hebrew script on my grave one day, too. I can’t come to Israel and not meet a camel, can I? 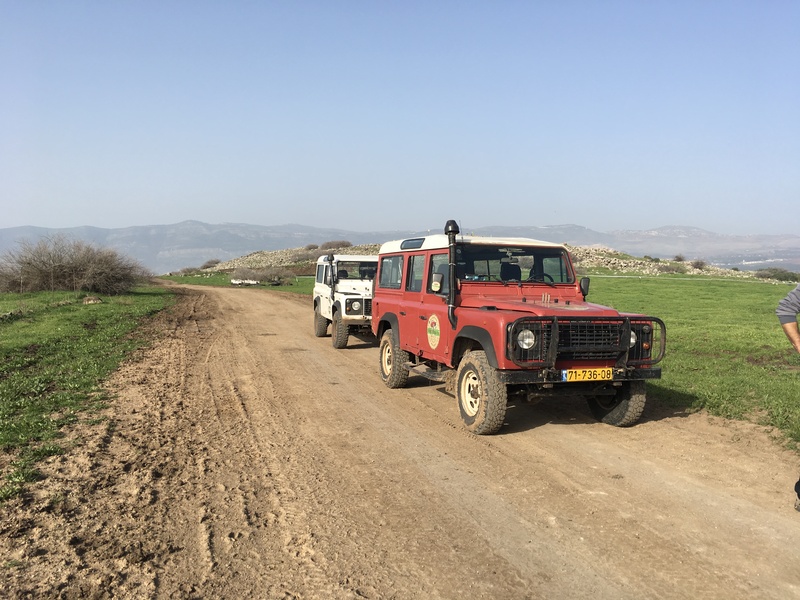 We left the north of the country and travelled south to Jerusalem along the Jordan Valley, through the West Bank, this time close to the Jordanian border. 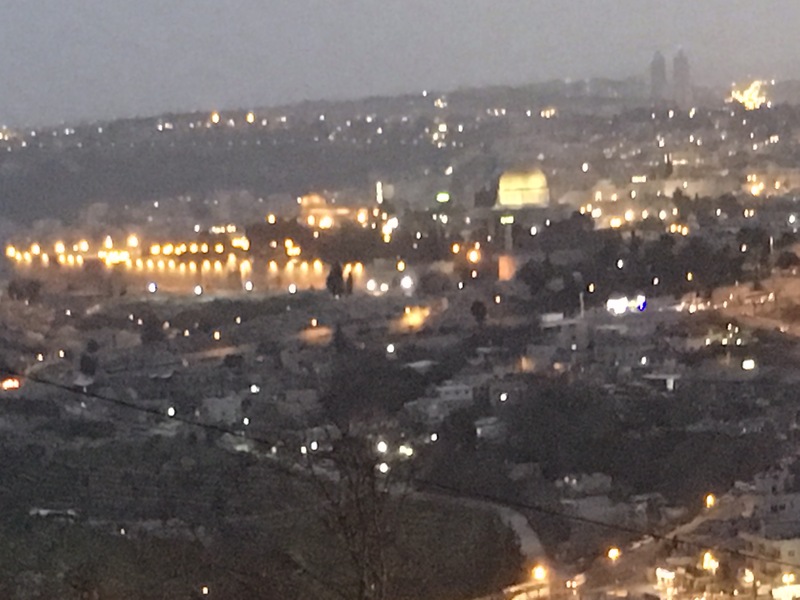 My Verizon phone service even sent me a text that said “Welcome to Jordan.” In one day, I saw Lebanon, Syria, and Jordan, reminding me how close Israel really lives to its neighbors. We stopped at an overlook at Mt. Scopus to recite the Shehechayanu as we watched night fall over the Old City. Here we are staying at the gorgeous and brand-new Orient Hotel in the German Colony. Another informative and tiring day concludes. It was an emotionally (and morally) challenging day — I cried more than once, falling in love all over again with Israel in a way I hadn’t since my very first visit in 1981. 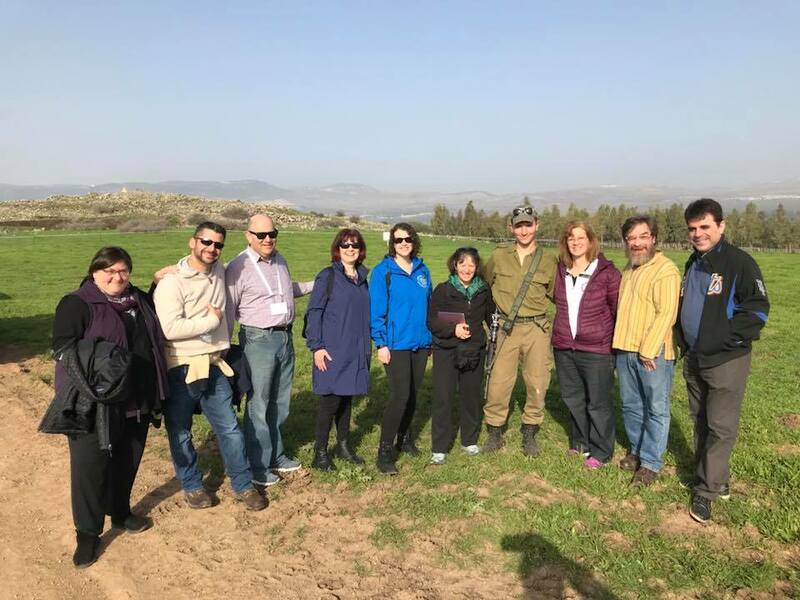 Thanks to my wonderful rabbinic colleagues and to our wonderful guide Uri for making this trip so meaningful and fun!